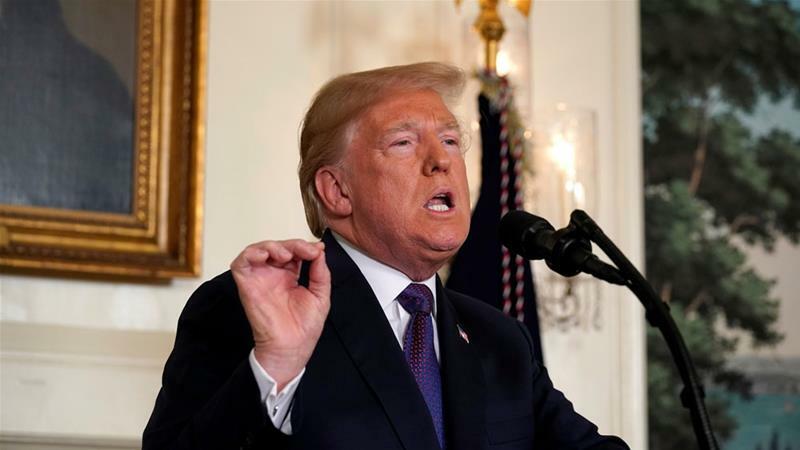 President Donald Trump late Friday announced the launch of a joint US-British-French operation targeting Syria's "criminal" regime in retaliation for a suspected chemical attack that he called a "significant escalation" in the crisis. "My fellow Americans - a short time ago, I ordered the United States armed forces to launch precision strikes on targets associated with the chemical weapons capabilities of Syrian dictator Bashar al-Assad. "Last Saturday, the Assad regime again deployed chemical weapons to slaughter innocent civilians - this time in the town of Douma, near the Syrian capital of Damascus. This massacre was a significant escalation in a pattern of chemical weapons use by that very terrible regime. "The purpose of our actions tonight is to establish a strong deterrent against the production, spread and use of chemical weapons. "Establishing this deterrent is a vital national security interest of the United States. The combined American, British and French response to these atrocities will integrate all instruments of our national power - military, economic, and diplomatic. "To Iran and to Russia, I ask: what kind of nation wants to be associated with the mass murder of innocent men, women and children? "The nations of the world can be judged by the friends they keep. No nation can succeed in the long run by promoting rogue states, brutal tyrants, and murderous dictators." "In 2013, President Putin and his government promised the world that they would guarantee the elimination of Syria's chemical weapons. Assad's chemical attack - and today's response - are the direct result of Russia's failure to keep that promise. "Russia must decide if it will continue down this dark path, or if it will join with civilized nations as a force for stability and peace." "America does not seek an indefinite presence in Syria under no circumstances. "No amount of American blood and treasure can produce lasting peace and security in the Middle East.